The Road to Wembley continues this Sunday with thirty 3rd Round Qualifying ties, featuring two of the highest placed teams going head-to-head as Brighouse Town play Burnley. Brighouse Town versus Burnley is a clash of the FAWNL Northern Division 1 top two and fourth also faces fifth in a late kick off, as Newcastle United entertain Chester Le Street Town. Midlands Division 1 leaders Wolves are at Birmingham & West Midlands, where they have already won 3-1 in the league. 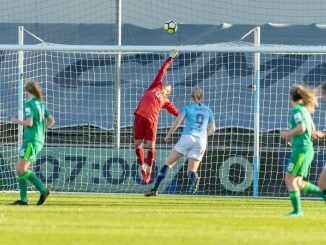 Chesham United have home advantage over South East top team Crawley Wasps, while South West table-toppers Keynsham Town are home to Southampton Saints. 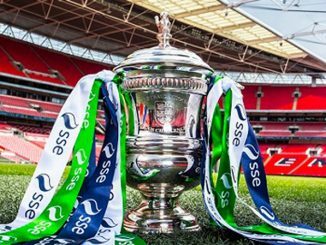 Of the second round giantkillers, Cambridge City have a trip to Eastern League rivals Acle United, New London Lionesses go to Islington Borough, Marine Academy Plymouth face a Devon derby with Buckland Athletic, Whyteleafe will host Queens Park Rangers Girls and Chesterfield challenge Stockport County. Elsewhere, Boro Rangers have a big tie at Leeds United, Leafield Athletic welcome high-flying West Brom, Wymondham Town also have a tough test against Billericay Town and Norwich City welcome an Enfield Town side who thrashed them 5-1 on the opening day of the season.